Amy specialises in architectural and cultural history, particularly that relating to 19th-21st century Australia, modern and contemporary Scotland, and the British colonial period. Amy is particularly interested in exploring these histories through heritage practice and theory, and her recent research has explored heritage policy, cultural diplomacy, identity politics and nationalism. An important branch of this research is Amy’s investigation of ‘kitsch’ built culture such as that of ‘Big Things’, as well as faux castles and pyramids, false-fronted (disguised) infrastructure, and theme parks. Themes that run throughout all of Amy’s research include popular culture iconography, architectural styles, nation branding strategies, and popularised national history narratives for domestic and international audiences. Amy’s main focus in 2017-2020 is a USC-funded research project ‘Beyond Borders: Australia’s Approach to Heritage Diplomacy in the Asia Pacific, 1992-Present’, of which she is the lead investigator. She and her collaborators, Prof Patrick Nunn and Dr Harriot Beazley, are exploring the history of heritage diplomacy in the Asia Pacific since the tenure of Prime Minister Paul Keating; as well as investigating more recent and ongoing programmes and partnerships between Australian and Asia-Pacific nations. Amy was awarded Australian Federal Government New Colombo Plan Mobility Project funding (2019-2020) to lead a group of USC students to Vanuatu for heritage-related research. Amy is currently completing a separate research project on Australia’s ‘Big Things’, examining this cultural phenomenon from historical, socio-political and heritage angles; she will publish a book on this topic in 2019-2020. She was awarded the Duke University Rubenstein Library FOARE Fellowship 2018-2019 for U.S. elements of this research. Amy is also collaborating on a symposium and edited book with colleague Dr Ashley Paine, exploring architectural history/theory and heritage issues relating to copying, duplicating and reproducing architecture. This will also be completed in 2019. Amy has published in a variety of academic journals within the architectural history, heritage, diplomacy and cultural history fields. For details, please visit her Academia.edu page or view her ORCID record. Amy has recently published several articles/conference papers that address the broad theme of cultural/heritage diplomacy, specifically through explorations of the Australian Federal Government’s List of Overseas Places of Historic Significance to Australia (LOPHSA), the Australian Federal Government’s Overseas Privately-Constructed Memorial Restoration Grant Program (OPCMRG), and the Scottish Government’s Scottish Ten digital heritage scheme. 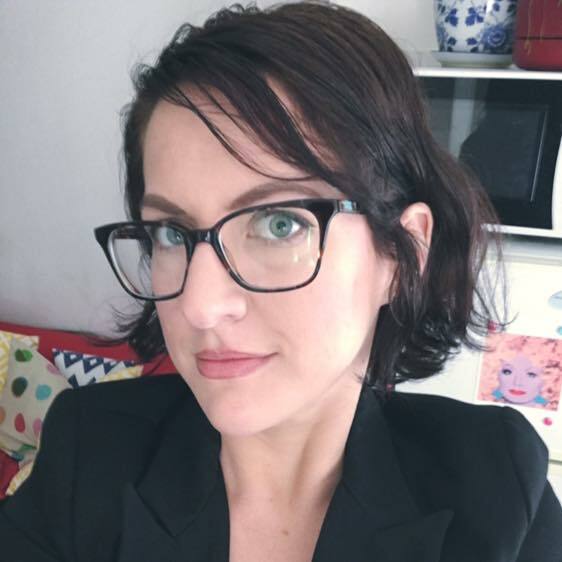 Amy’s PhD dissertation, entitled Built heritage and National Identity: Constructing and Promoting Scottishness in the Twenty-First Century, was conferred in 2015 (University of Queensland), and investigated several contemporary issues in heritage politics and governance using Scottish case studies and examples. Case studies for this research were drawn from Scotland, Canada (particularly the diaspora in Nova Scotia), India (particularly remnant colonial-era architecture) and contemporary Scottish diplomatic partners (India, China, U.S., Japan, Australia). While framed within this Scottish context, the research asked more broadly-relevant questions about politicised historical narratives and identities, particularly those that are played-out or captured through architectural (or ‘built’) heritage. The research drew from a number of disciplines: heritage (and critical heritage) studies/theory, architectural history and design theory, cultural history, identity studies, and political/diplomatic studies. Several articles were published out of this research, and can be found on Amy’s Academia.edu page. Prior to her PhD research, Amy completed a Masters by Research at the University of Edinburgh. This work considered the unusual spread of ‘English’ architectural styles (particularly Tudor Revival or Tudorbethan) in Scotland in the 19th century, and included the collation of a detailed database of examples, a historical examination of architectural education and design processes (specifically pattern-books), and a historical study of architect-patron relationships and the socio-economic connections of those who commissioned ‘English’ styles. This work revealed a strong correlation between Anglicized Scottish landed gentry, the perception that ‘English’ architectural styles communicated allegiance to the Crown and British Parliament, and the expectation that Scottish architects would travel to London to study or train. The thesis, entitled The Scottish Tudor Revival, can be found in its unpublished version on Academia.edu. For her Bachelor of Arts Honours thesis, completed at the University of Queensland, Amy explored the fascination that the Tudor period (and key historical figures) held for Victorian society, and how narratives/portrayals of these Tudor people and events were reframed by the Victorians to suit 19th century attitudes. This research, which drew from the fields of art, architecture, literature and social history, shed light on the ways that a nation (or culture) selects and revises aspects of its past in order to elevate values it holds in high regard in the contemporary period (e.g. motherhood, patriotism, Protestantism, rural landscapes). The thesis, entitled What the Tudors Meant to the Victorians: Constructing an Historical Identity in the Nineteenth Century, can be found in its unpublished version on Academia.edu. Any subject / theme relating to heritage in local, Queensland, Australian or global contexts (architectural, archaeological, museums, interpretation, repatriation, policy, etc.). Promotion and manipulation of ‘national’ identities for social, political and/or economic gain (17th–21st centuries); the general history of nationalism and national identity/patriotism in specific locations/communities. British imperial and colonial history, culture and heritage (including North America, southern Africa, South-east Asia, Australia and Oceania). British (or English/Scottish/Welsh/Irish) history from 15th century – present. Any themes drawing from local (i.e. Sunshine Coast and surrounds), state (i.e. Queensland) or national (Australia) history from 18th century onwards. History of Australian and/or British popular culture (including film, music, television). Any political history, but particularly Australian, British, South-East Asian or European (this can include themes such as crossing borders, war/conflict, nationalism, genocide, cultural contention/persecution, etc.). Any urban history (history of cities or urban settlements), including architectural, landscaping and town planning history.